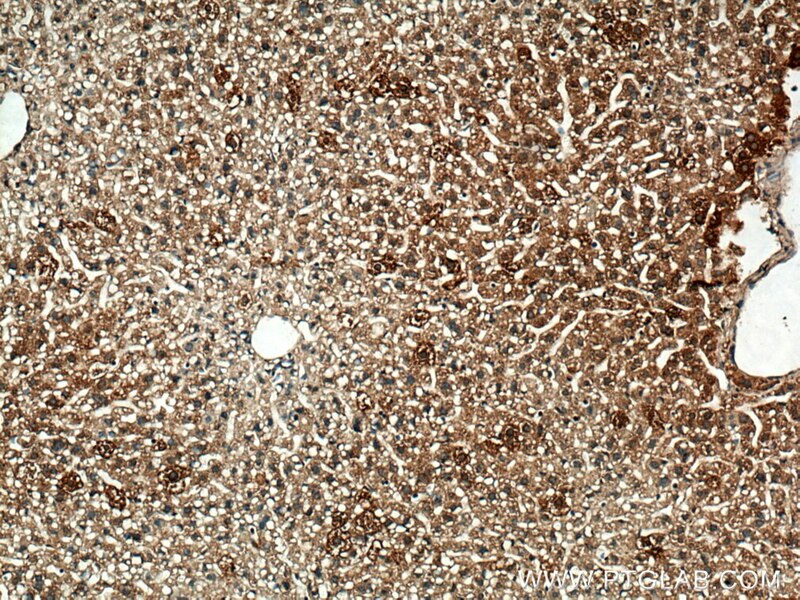 Immunohistochemical analysis of paraffin-embedded human liver cancer tissue slide using 20215-1-AP (IGF1B-Specific antibody) at dilution of 1:200 (under 10x lens) heat mediated antigen retrieved with Tris-EDTA buffer(pH9). 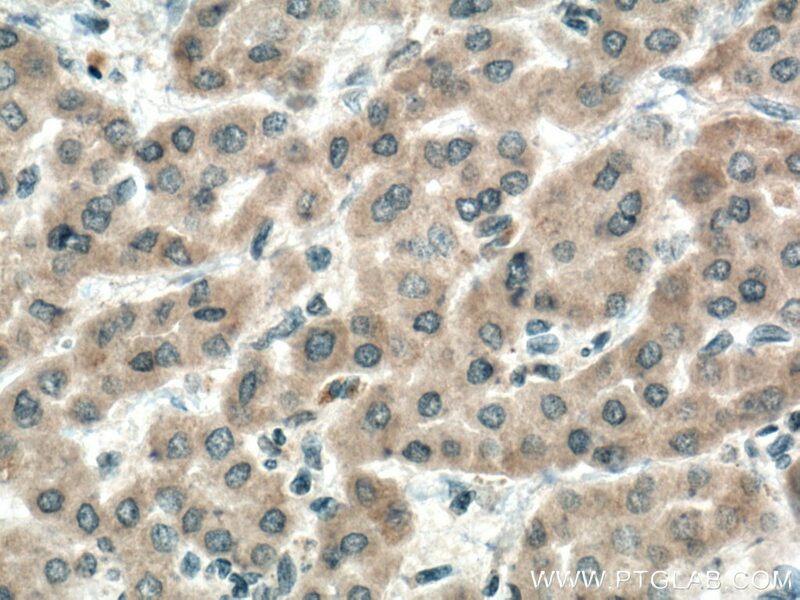 Immunohistochemical analysis of paraffin-embedded human liver cancer tissue slide using 20215-1-AP (IGF1B-Specific antibody) at dilution of 1:200 (under 40x lens) heat mediated antigen retrieved with Tris-EDTA buffer(pH9). IGF1B, also named as IBP1, MGF, IGF-I and Somatomedin-C, belongs to the insulin family. IGF1 is structurally and functionally related to insulin but have a much higher growth-promoting activity. Altered expression or mutation of IGF-1 is associated with several human disorders, including type I diabetes and various forms of cancer. Defects in IGF1 are the cause of insulin-like growth factor I deficiency (IGF1 deficiency) which is an autosomal recessive disorder characterized by growth retardation, sensorineural deafness and mental retardation. 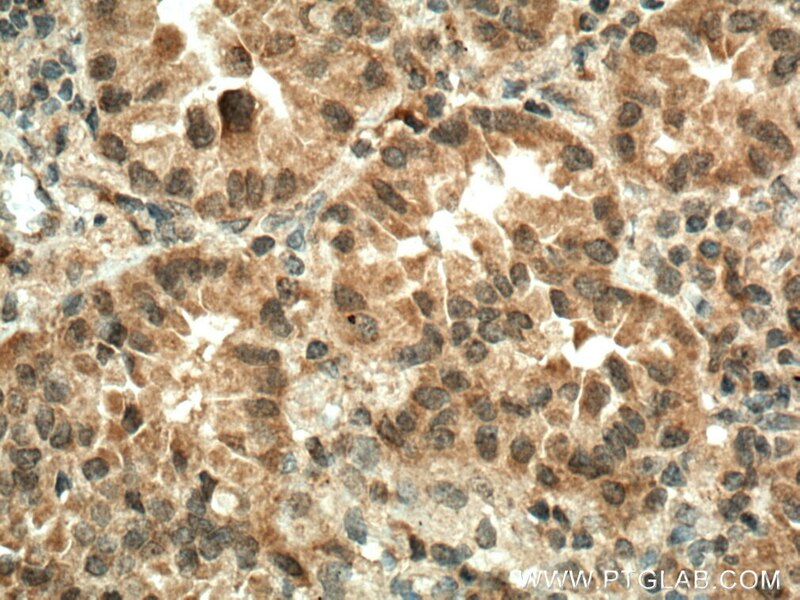 The antibody is specific to isoform IGF-1B. miR-129 controls axonal regeneration via regulating insulin-like growth factor-1 in peripheral nerve injury. Oenothein B induced human non-small cell lung cancer A549 cell death by ROS-mediated PI3K/Akt/NF-κB signaling pathway. Systemic administration of scAAV9-IGF1 extends survival in SOD1G93AALS mice via inhibiting p38 MAPK and the JNK-mediated apoptosis pathway. 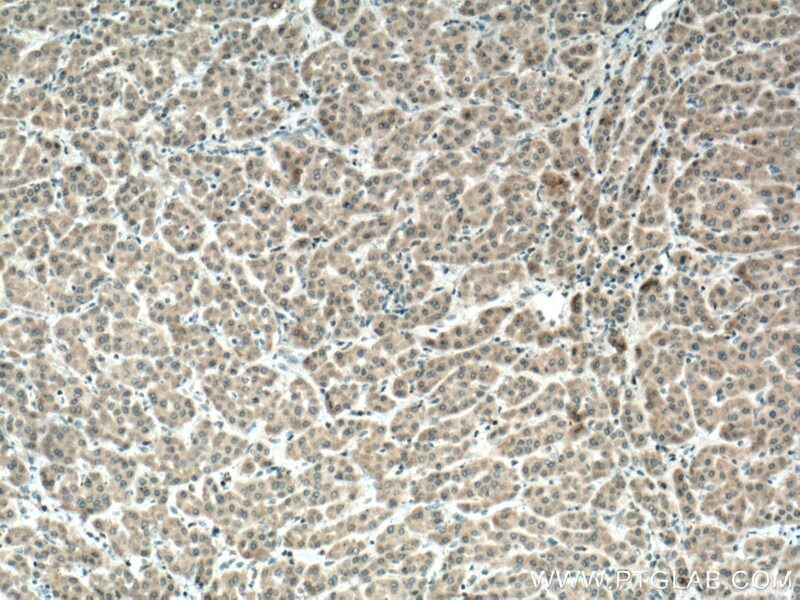 Immunohistochemical analysis of paraffin-embedded human lung cancer tissue slide using 20215-1-AP (IGF1B-Specific antibody) at dilution of 1:200 (under 10x lens) heat mediated antigen retrieved with Tris-EDTA buffer(pH9). 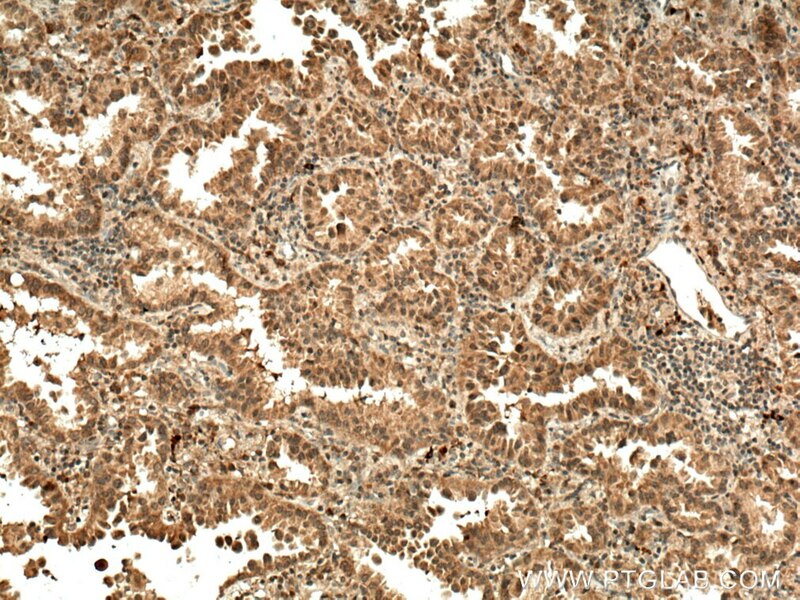 Immunohistochemical analysis of paraffin-embedded human lung cancer tissue slide using 20215-1-AP (IGF1B-Specific antibody) at dilution of 1:200 (under 40x lens) heat mediated antigen retrieved with Tris-EDTA buffer(pH9). Immunohistochemical analysis of paraffin-embedded mouse liver tissue slide using 20215-1-AP (IGF1B-Specific antibody) at dilution of 1:200 (under 10x lens) heat mediated antigen retrieved with Tris-EDTA buffer(pH9). 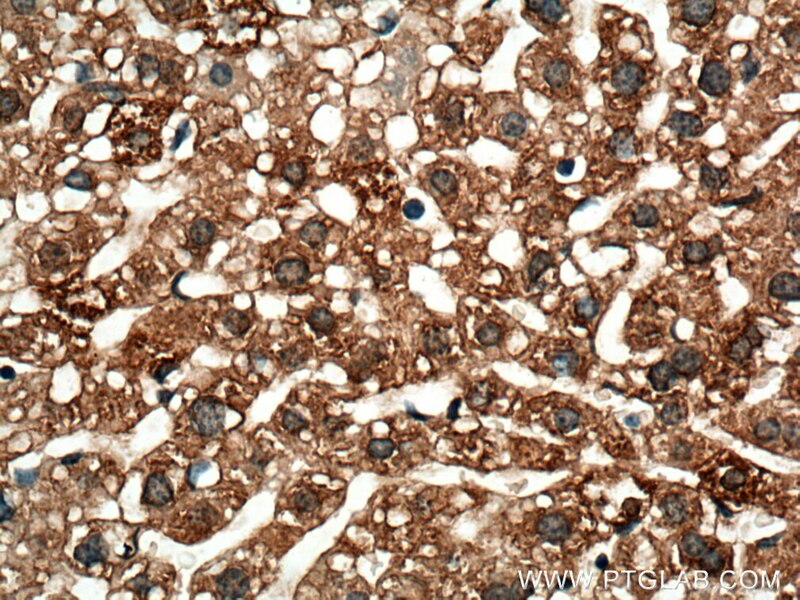 Immunohistochemical analysis of paraffin-embedded mouse liver tissue slide using 20215-1-AP (IGF1B-Specific antibody) at dilution of 1:200 (under 40x lens) heat mediated antigen retrieved with Tris-EDTA buffer(pH9).